Reitmeier helps to bring balance to your environment by ensuring that your controls and energy management systems (EMS) work in congruence. We take a cost-per-square foot approach to assessing the performance of and need for an energy management system. 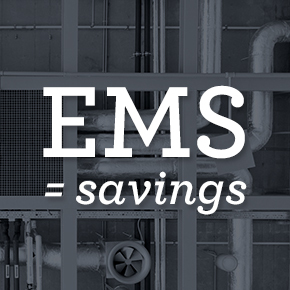 If your HVAC is performing well and your building has a good energy index, then you may not realize great benefits from installing EMS. But in many cases, EMS can create huge time, energy, and cost savings for commercial buildings. And recent technological innovations have greatly improved the impact, affordability, and user-friendliness of EMS. Reitmeier believes that EMS should be easy to use, and that it should be able to communicate with your building automation systems (BAS) and direct digital controls (DDC) with ease and efficiency. We design EMS with wireless technology and with open data protocol to ensure ease, efficiency, and interoperability across systems. With predictive capabilities and remote access afforded by our innovative approach to EMS, Reitmeier is able to proactively address discomfort in your building and make adjustments remotely. Audits – Reitmeier conducts comprehensive energy audits in your commercial building. We identify immediate opportunities for improving energy efficiency within your HVAC operations, and determine a cost-effective course of action for larger energy management projects. High-Efficiency Equipment – You can count on Reitmeier to help you navigate your options for purchasing a high-efficiency HVAC system. Our expert team will help you find a system to fit your needs, and help you qualify for tax incentives through our partners at the Energy Trust of Oregon. Optimized Systems – Reitmeier can align your controls and energy management systems to improve the productivity and lower the cost of your HVAC operations. Our team of skilled technicians can help you realize the increased efficiency, reliability, and comfort that come with optimized controls and energy management systems. Preventative Maintenance – Reitmeier designs and implements customized preventative maintenance solutions that ensure the efficiency and effectiveness of your HVAC’s energy management system. Our expert team annually inspects your controls and energy systems, recalibrating to reduce unnecessary energy consumption. At Reitmeier, our dedication to sustainable business practices extends to the services and offerings we provide to our customers. 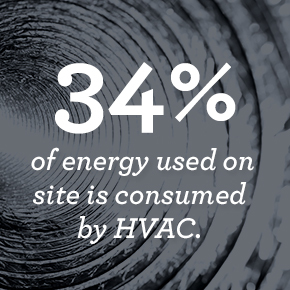 According to the U.S. Department of Energy, HVAC accounts for approximately 34% of energy used on site in commercial buildings. That’s a significant piece of the pie, and it’s even larger when there are inefficiencies in your HVAC’s control and energy management systems. Ensuring the efficient operation of your HVAC system not only helps protect your initial investment, it brings balance to our environment by reducing use of non-renewable resources and limiting the amount of greenhouse gases that your building emits into the atmosphere. Interested in learning more about how Reitmeier can elevate your Energy Management System? Contact us today.